SAINT-JEAN-SUR-RICHELIEU, Que. – Jacques Tremblay, chairman of the board for Tremcar, has been named Philanthropist of the Year in his company’s hometown of Saint-Jean-sur-Richelieu, Que. 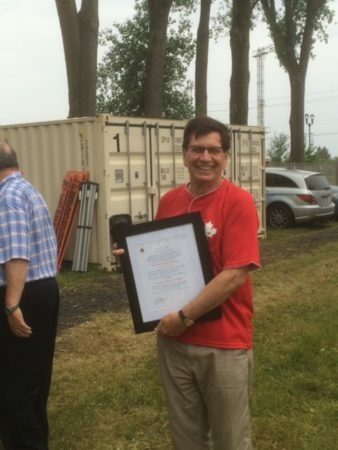 Tremblay received the honor during a Canada Day ceremony promoting Canadian values, something Tremcar, a tank trailer manufacturer, said its company’s owner has advocated for for many years. Tremblay has been involved in several causes within his community, while promoting the importance of Canada’s history and cultural legacy.